Sylvia Plath was an iconic American poet who had a very unhappy life. Hence the same of this condition, which describes the association between female poets and mental illness. Sylvia Plath was, without doubt, a gifted artist, but she didn't attain iconic status until her much-publicized suicide at the age of thirty. 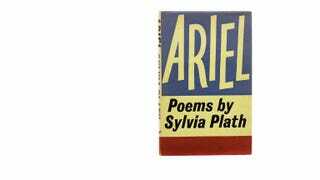 Ariel, her posthumously-published book of poetry was considered, by many, a masterpiece. Her much-studied life has been sketched for the public many ways, in order to support many viewpoints; from the political idea of the difficulties of a woman ahead of her time to the purely aesthetic view of the tortured artist. Her name also has come to symbolize a controversial psychological concept. In 2011, James Kaufman conducted two studies. The first analyzed 1,629 writers for mental illness, and found that female poets were more likely to suffer from mental illness than female prose writers, or male writers of any kind. A second study analyzed women in many careers — most of which would be construed as creative — and found that poets were more likely to suffer from mental illness than any other profession. The convergence of the results of these two studies was called the Sylvia Plath Effect. The association doesn't imply causation. Artistic impulses don't drive a person mad. Kaufman himself argued that poetry and other artistic professions seem to have more of a tolerance for mental illness than others. Someone who might have been driven out of, for example, business or dentistry, might be allowed more freedom in the arts, and so might find more success. Artistry, then, could be more of a haven for those with mental illness than a cause of their illness. Artistry itself also doesn't seem to demand mental illness — artists respond to treatment and do better after being treated, just like everyone else. As for the correlation of mental illness with poetry in particular? That's unexplained. But it's also undecided. Female poets may be more willing to submit to such a survey than other writers, so there is the possibility of selection bias. Then again, it's not unlikely that certain personalities are drawn to certain professions. What do you think? Is it a coincidence, a consequence of the mechanics of the study, or a true correlation? Via The Journal of Creative Behavior and APA.